We’d love your help. Let us know what’s wrong with this preview of Love's Affliction by Fidelis O. Mkparu. Joseph Fafa of Nigeria has high hopes when he begins his premed studies at a North Carolina College. But his love for the beautiful and talented daughter of a prestigious Southern family threatens to destroy his dreams of becoming a doctor. Will he escape the power of an irate father and hold onto his youthful love, a flare of illumination sparked amidst the clash between Joseph Fafa of Nigeria has high hopes when he begins his premed studies at a North Carolina College. But his love for the beautiful and talented daughter of a prestigious Southern family threatens to destroy his dreams of becoming a doctor. Will he escape the power of an irate father and hold onto his youthful love, a flare of illumination sparked amidst the clash between two cultures? Love's Affliction braves the limits of romantic love, overcoming barriers, and pondering how the dreams of our youth can temper and deepen our foundations. To ask other readers questions about Love's Affliction, please sign up. Please do you believe in long distance relationship? in a real relation distance cant destroy it but a dough can do. The author’s descriptive passages reveals extraordinary creativity and imagery which brings life to this love story, evoking a range of emotions. An example of the author’s use of words in describing a romantic scene, “Enthralled by the cascades of golden morning sunrays that pierced through the imperfect shades of tall trees. Wendy and I walked through the garden.” As the reader progressed through the chapters, the story crescendoed into an intense drama intertwined with romantic scenery that brought balance to sadness and anger experienced by this reader. The plot was realistic and relatable in that similar racial, cultural, socio-economic dilemmas remains relevant in today’s society. I liked that despite the setbacks and challenges, Joseph was not embittered but triumphant in the end. It was evident that his strong family background, including the echoing words of his father, “My son always know what you want in every situation,” kept him grounded. Further, previous experience with religious prejudice in his native country most likely prepared Joseph to put the ignorance of racism and cultural bias in perspective. The main characters of Love’s Affliction were first introduced in this author’s novel, The Withered Rose. However, his depiction of these characters in Love’s Affliction are far more dynamic, revealing insight into the personalities of the characters that the reader may recognize in their own lives. What a brilliant, refreshing, gut wrenching and inspirational approach Fidelis O. MkParu takes in Love's Affliction. Love's Affliction keeps you captivated from beginning to end. Fidelis O. MkParu uses vocabulary in the most effective and seductive way, that leaves much to the imagination. This novel is intense and filled with raw emotions, emotions that invoke anger, sadness, and happiness. Get ready to be whisked back to the late seventies in the life of a Nigerian student, Joseph Fafa, as he tries to achieve his personal goal of becoming a doctor. The life of Joseph, since coming to the U.S. had not been easy, many would think his academics the biggest hurdle but that was not so. The true challenges for this young student were social acceptance, racial bias, intertwined with romance. Being in a place with few friends and his family far away, leaving him in a vulnerable state, he Get ready to be whisked back to the late seventies in the life of a Nigerian student, Joseph Fafa, as he tries to achieve his personal goal of becoming a doctor. The life of Joseph, since coming to the U.S. had not been easy, many would think his academics the biggest hurdle but that was not so. The true challenges for this young student were social acceptance, racial bias, intertwined with romance. Being in a place with few friends and his family far away, leaving him in a vulnerable state, he rekindles a relationship with a privileged local girl Wendy, whose friendship had previously left him in a state of discontent. This decision would open up an education that isn’t found in text books. After learning the influence Wendy’s family held at the College, Joseph didn’t realize the impact it would ultimately have on his education and his future with Wendy. Although this takes place in a North Carolina college town, the setting could have been anywhere with similar results. The manner in which things transpired could have taken place at any location but with different biases that are prevalent to the area and time. The feelings and thoughts of Joseph are the same that many people have experienced in their life with prejudice and preconceived beliefs, leaving the reader with a sense of empathy. Change the setting and circumstances, this is a love story that many can relate to. This journey of young love provides all the elements of a true romance novel. A very enjoyable read! Looking forward to the next novel from this author! Love's Affliction is an extraordinary love story. Joseph and Wendy's forbidden love affair is an amazing journey that I felt emotionally connected to. The book is realistic fiction that explores racial and family relationships. The writer makes you feel as though the love they shared has changed the characters forever. I highly recommend this book. Every high school junior, senior and college student should be required to read this beautifully written book. We all can learn about ourselves and others from this read. Love's Affliction is exactly the kind of novel that I love reading: emigration, intercultural relationships... I'm really addicted to these topics and deep involved in them since I have married a Mexican and have a daughter with him! I really want to thank the author for sending me a free copy of his book! Fidelis O. Mkparu's novel is a highly entertaining and well written book about the difficult love story between two college students coming from completely different worlds. Wendy Crane is whit Love's Affliction is exactly the kind of novel that I love reading: emigration, intercultural relationships... I'm really addicted to these topics and deep involved in them since I have married a Mexican and have a daughter with him! I really want to thank the author for sending me a free copy of his book! Fidelis O. Mkparu's novel is a highly entertaining and well written book about the difficult love story between two college students coming from completely different worlds. Wendy Crane is white, blonde and with green eyes. Joseph Fafa is black, Catholic and comes from Nigeria. Wendy is the daughter of one of the richest men in North Carolina. 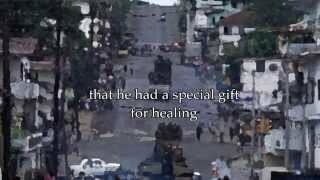 Joseph comes from an upper middle class family who sent him to the USA to receive a better education after that the Biafra War destroyed many facilities in his country. Joseph and Wendy meet in 1977 and immediately fall in love, but Wendy's father is against their relationship because he doesn't like his skin colour. Wendy decides to flee to France and Joseph has an affair with a girl called Francesca who leaves him when she becomes a famous model. After a year Wendy comes back and reignites her relationship with Joseph. Wendy is very jealous, but she has her good reasons, since Joseph seems to have only female friends and he is attracted by their beauty. One of them is Doreen, an art student with an American father and a Brazilian mother, but the most important is Gina, the daughter of an Afro-American man and a Lumbee Indian woman. Lumbee Indians are a state-recognized Native American tribe in North Carolina, even if the DNA results showed that they are a mixture of African and European blood, with only a small percentage of Native American DNA. Both Wendy and Joseph want to become doctors, but their plans to study together are ruined by Wendy's father who doesn't hesitate to use his power and influence to sabotage Joseph's admission to medical school. Joseph won't be admitted to any medical school in North Carolina, so in 1980 he is forced to move to Detroit, Michigan. Wendy is ready to marry him, but Joseph doesn't like women who want to take control of his life, so he decides to set her free from their relationship. Love's Affliction gave me an interesting insight into the American college system and the lives of privileged people. It's an almost perfect novel and I'd like to know how much autobiographical is. What disappointed me was not so much the unexpected end of the relationship between Joseph and Wendy, but the chapter about his year in Detroit. Why did the author devote all those pages to the poor black student Mavenka and the beautiful and rich Elaine, if neither of them took Wendy's place in Joseph's life and why didn't he write instead at least a few lines to tell who became Doctor Fafa's wife and how he met her? Joseph Fafa, a Nigerian student, begins his undergraduate medical studies in 1977 at North Carolina College. His first day there, Joseph meets Wendy Crane, a Caucasian student. Joseph is unaware that Wendy comes from a prestigious and powerful family. Because they are medical students, Joseph and Wendy spend a great deal of time studying together, and, over time, they fall in love. But it is the late 1970s, and interracial relations only exacerbate the bigoted diatribe lurking about campus. Jose Joseph Fafa, a Nigerian student, begins his undergraduate medical studies in 1977 at North Carolina College. His first day there, Joseph meets Wendy Crane, a Caucasian student. Joseph is unaware that Wendy comes from a prestigious and powerful family. Because they are medical students, Joseph and Wendy spend a great deal of time studying together, and, over time, they fall in love. But it is the late 1970s, and interracial relations only exacerbate the bigoted diatribe lurking about campus. Joseph and Wendy have plans to go through medical school together and eventually get married. But when Joseph learns that the school board rescinds his scholarship to the school’s post-graduate medical program, Joseph has to try to move on with his life without Wendy. Rising author Fidelis O. Mkparu crafts a love story interlaced with issues that are more fact than fiction. Using elements from Shakespeare’s Romeo and Juliet, Mkparu aptly captures the reality of an African student seeking a better life in America; like many foreign students coming to America for the first time, Joseph may be filled with hopes and dreams, but he is alone. Early on in his debut, Mkparu zeroes in on Joseph’s emotional vulnerability as well as his naiveté – separated from the comfort of family and friends – when he unexpectedly finds himself helplessly in love with Wendy, a wealthy white girl. Interestingly, Wendy has her own issues with vulnerability, because she is desperately trying to free herself from her bigoted familial environs. The magnetism between the lovers is immediate and strong. Mkparu does a stellar job not only developing their individual personas, but then also incorporating them within an intense need-based relationship. Mkparu underpins a constant theme of racism amid alternating scenes largely between Joseph and Wendy, but also covering other aspects of Joseph’s life as well. One striking aspect is the cultural differences between the lovers. For example, Joseph understands bigotry from a religious standpoint, because he has lived through civil war (between Muslims and Christians), plus has lost loved ones in the process. That said, Joseph has a totally different perception of the phrase “Campus Crusade,” compared to what Wendy acknowledges as a Christian revival service. A must-read, Love’s Affliction is an exceptionally gripping and poignant story. While intense throughout, there is resolution – and not quite what one may expect! I received a free copy of this book through goodreads. I very much enjoyed reading this story. Having never been in a relationship with someone of a different race, it is very easy to be ignorant of the struggles involved. Wendy, the girlfriend, was all over the map in terms of her behaviour. At one point, I thought maybe Joseph was being used as a part of a psychology experiment, but as it turns out, it was all just a reflection of their relationship and turmoils. The book was a good read. An amazing love story written by an author with a lot of imagination and an impeccable vocabulary. The interracial suffering both Joseph and Wendy experience creates a burden between their relationship throughout their love story. The cultural challenges and the emotional setbacks caused their forbidden love to diminish. This is a must read novel that keeps the reader enticed to the end. 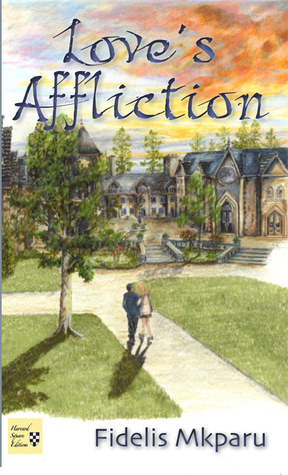 Loves affliction is a sweet story. However, I found it a little had to get into with there being minimal character development at the beginning, and history of Joe's life before going to America would have been helpful. I enjoyed the book, and though the idea was good, and the plot was easy to follow. I would recommend it to a younger audience. Okay, I didn't hate this book, but I didn't love it, either. I didn't find any of the characters particularly sympathetic. And the main female character was portrayed as totally manipulative (I'm not naive; I know there are people like that), but it felt contrived. I got the impression (after reading the short author bio on the back of the book) that this book MAY have been inspired by true events. Which can either go really well, or completely awry. In this case, it was somewhere between the two. I received this book for free from a Goodreads Giveaway. I really wanted to like this book, but it was so painful. It took forever to finish and honestly that was only so I could write a review and be eligible for other Goodreads giveaways. The book jumps around awkwardly - sometimes leaving big gaps in the story and other times staying on one scene for far too long. The dialogue was also painfully awkward. Sadly, I don't recommend this book at all.